What is LED Lighting (and why you should swap your halogen bulbs out for them). Heard noise about LEDs but not sure what the big deal is? Let us fill you in! 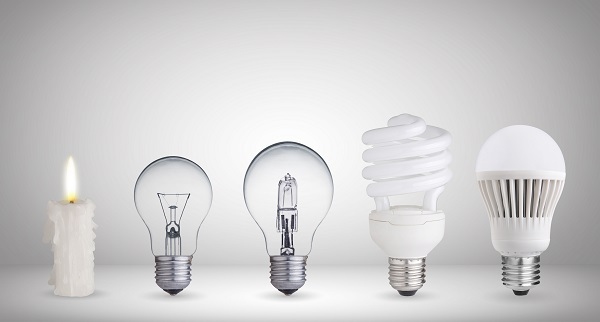 Halogen downlights use outdated an inefficient technology. A typical halogen downlight will cost $25 in electricity to run each year. In comparison an equivalent LED will cost $3 in electricity to run each year. That’s why all new houses and extensions now use LEDs. LED lights are highly energy efficient and produce high quality light with little heat. They produce 90% less heat compared to halogen globes; therefore saving on household cooling. LED lights are an eco-friendly form of lighting as less energy used means less CO2 emissions. The good news is that LED lights are highly energy efficient and produce high quality light with little heat. They produce 90% less heat compared to halogen globes; therefore saving on household cooling. LED lights are an eco-friendly form of lighting as less energy used means less CO2 emissions. “LED lights are the latest technology in energy efficient lighting. LED stands for ‘Light Emitting Diode’, a semiconductor device that converts electricity into light.